When Mr. Bread Maiden and I lived in Austin, we got to a point in our first year when we made the switch from mostly grocery-store bought meals, to mostly farmer’s market-bought meals. It wasn’t easy. Well, in a way it was. 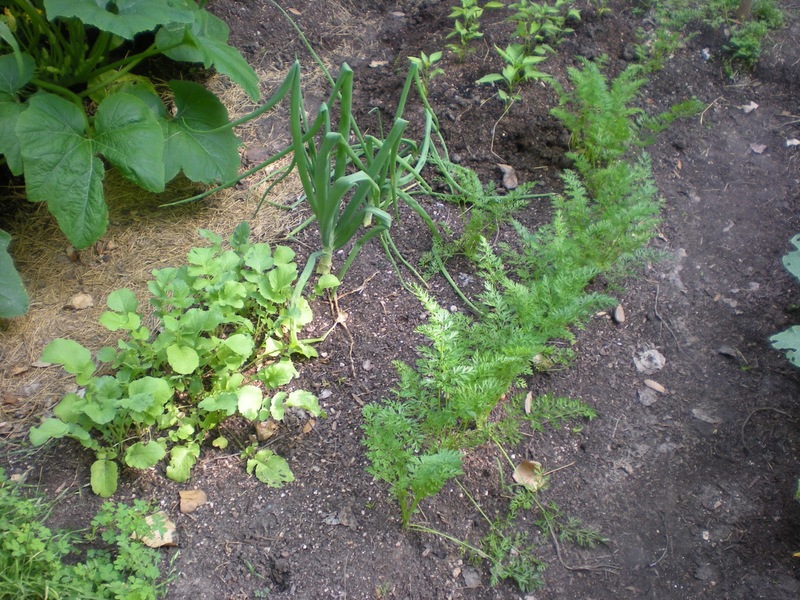 We had an amazing garden for all our herbs and vegetables, and we would buy our meat and dairy at the farmer’s market. Austin was also where I began my bread journey on the way to becoming Bread Maiden! 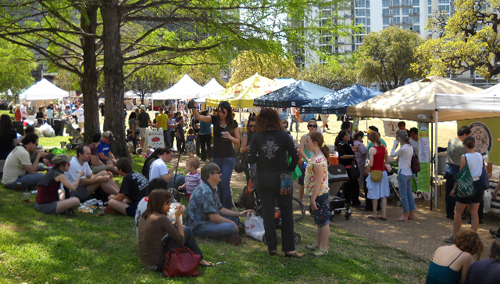 The Austin Farmer’s Market was unique in that it had weird things like, say, wheat berries for sale. I tried using wheat berries for baking by grinding them up, but they didn’t have enough gluten to rise a loaf of bread. So there’s been a bag of them in my pantry from Austin, to Warwick Village, and now to Del Ray. Don’t tell Slow Learner, but Mr. 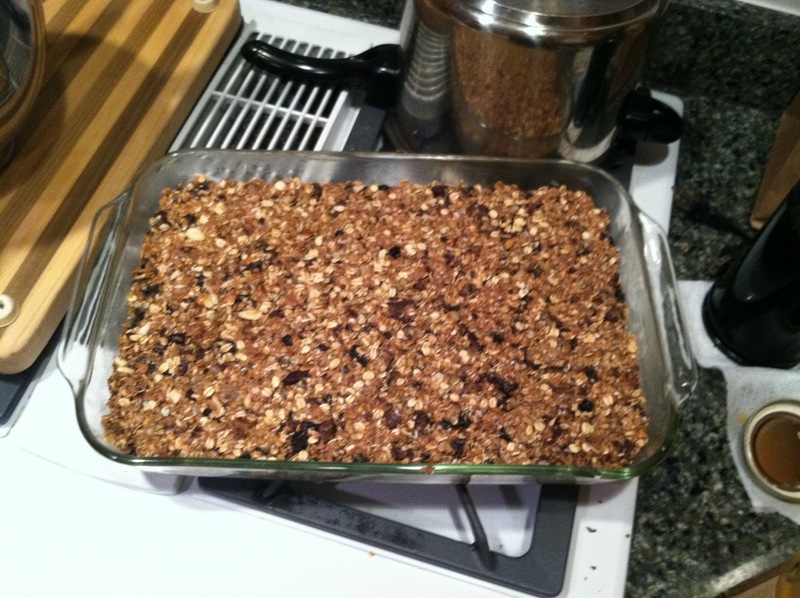 Bread Maiden and I are making her a ton of granola bars for her birthday. Post to come! 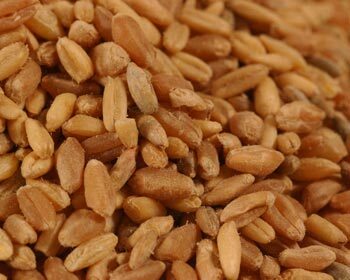 But anyway, we were rooting around the pantry for grains to use in the granola, and we came across the wheat berries. Mr. Bread Maiden suggested we cook them as a grain for dinner, which is exactly what we did. 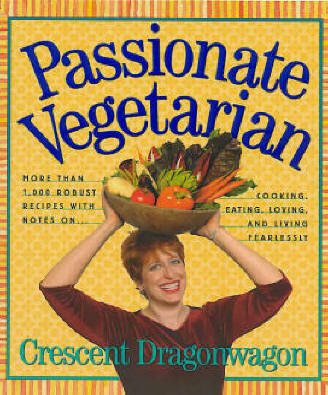 We turned to this book: Passionate Vegetarian, by (no joke) Crescent Dragonwagon. The book is really excellent and a nearly comprehensive review of vegetarian cuisine, whether bean, grain, seed, or rhizome. Basically, by following her recipe we didn’t follow her recipe at all. 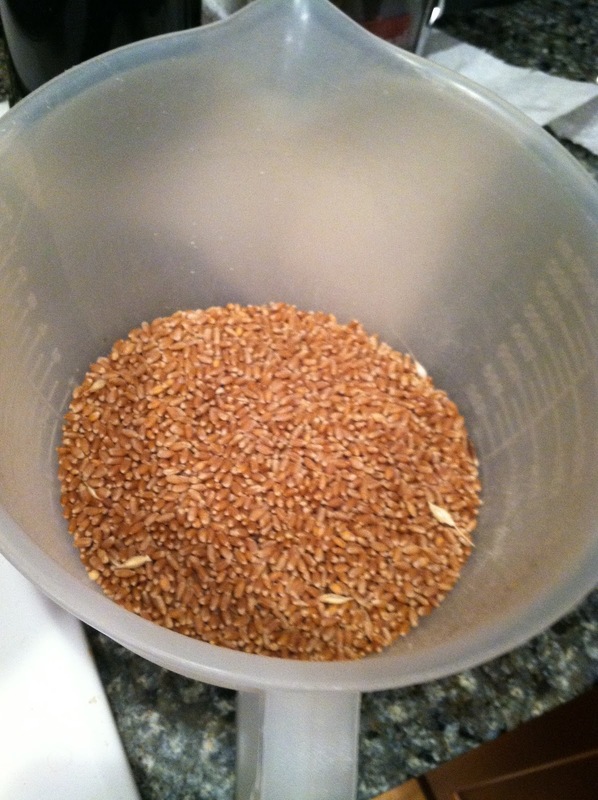 First, I rinsed the wheat berries and picked out all the hulls. It’s easy to do; cover the berries with water and swish it around with your hand; the hulls rise to the top and you can pick them out. 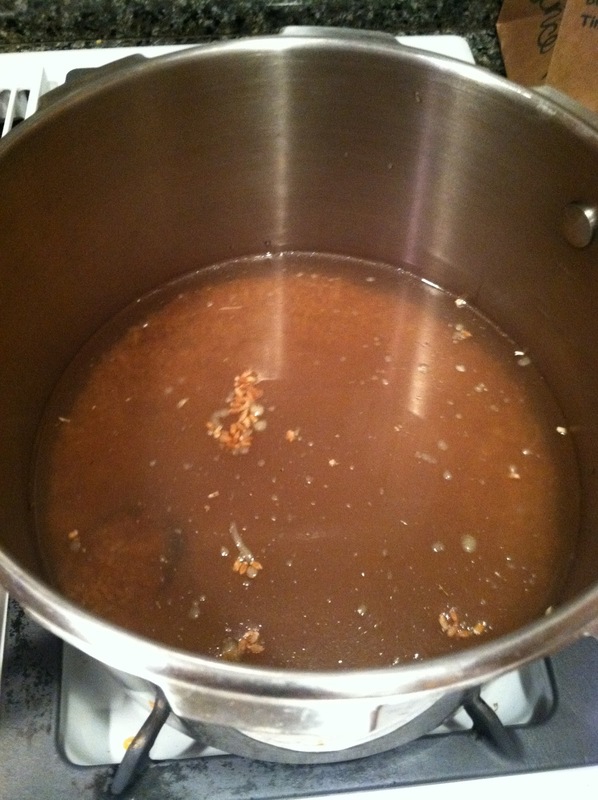 I threw about two cups of wheat berries into my pressure cooker, then poured in about 8 cups of water and chicken stock. 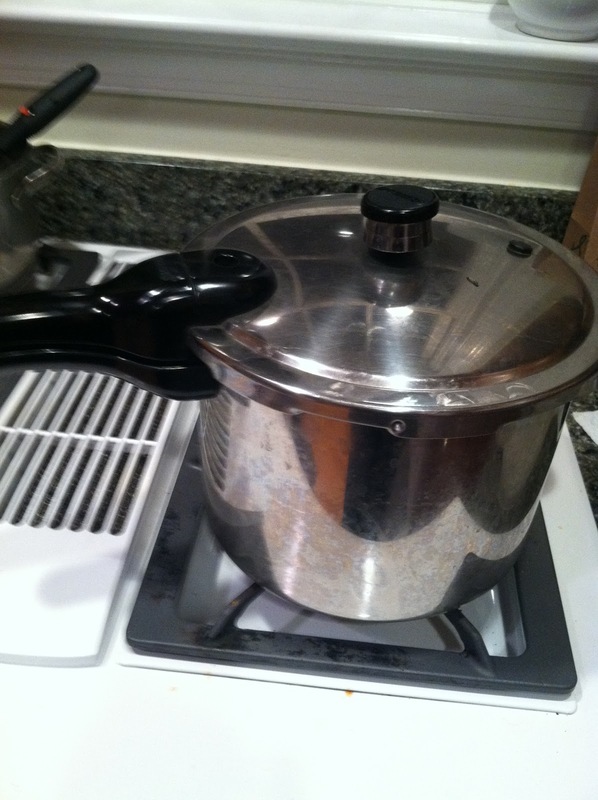 Put the pressure cooker on medium-high heat until you reach pressure, then turn it down to medium and cook for about 35 minutes. 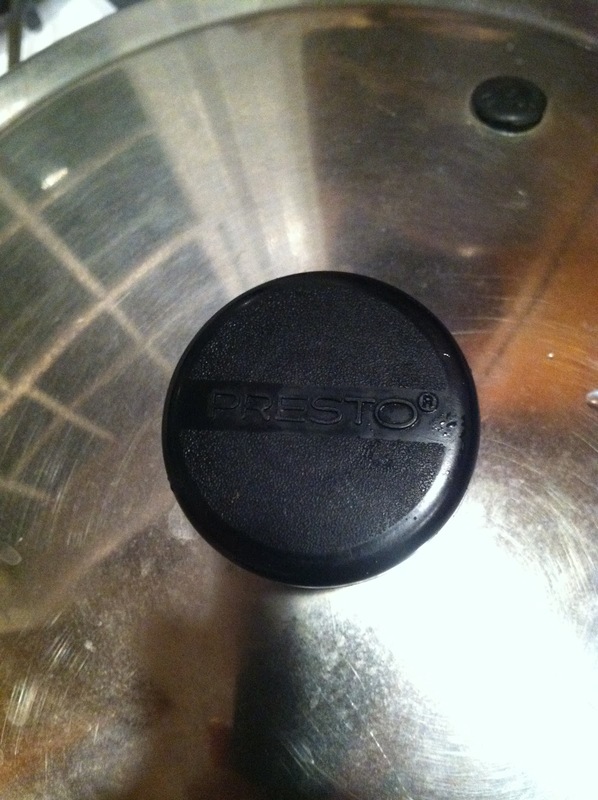 Apropos of nothing, my pressure cooker is a “presto.” I like it. 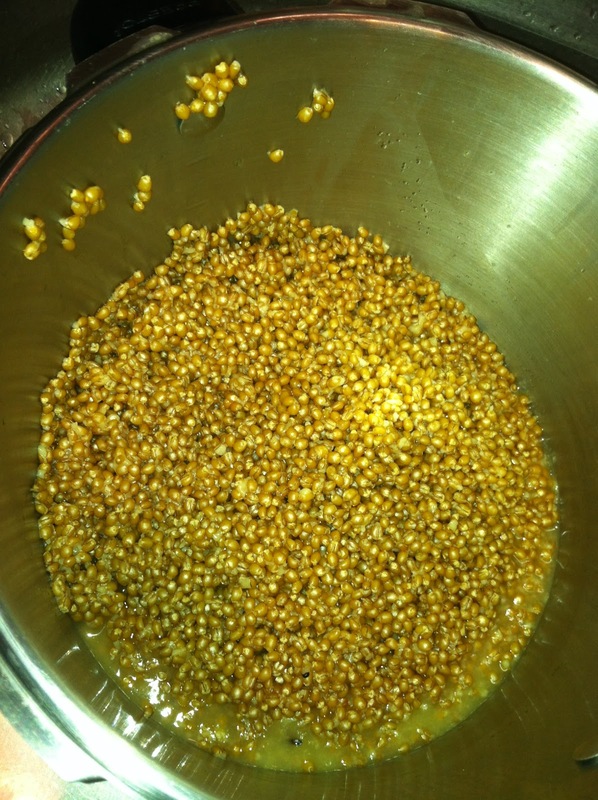 Once the wheat berries are done, remove the pressure cooker from the heat and wait for the pressure valve to release. 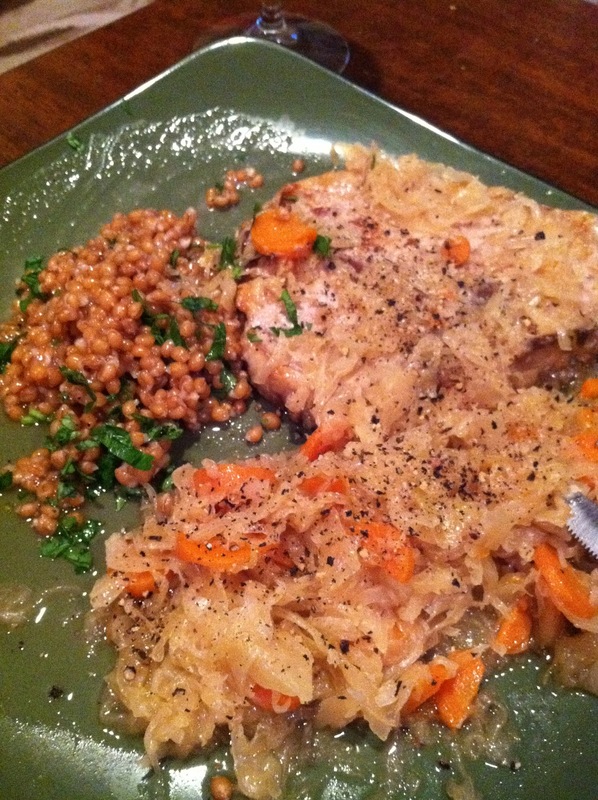 Wheat berries, once cooked, have a nice, chewy texture. 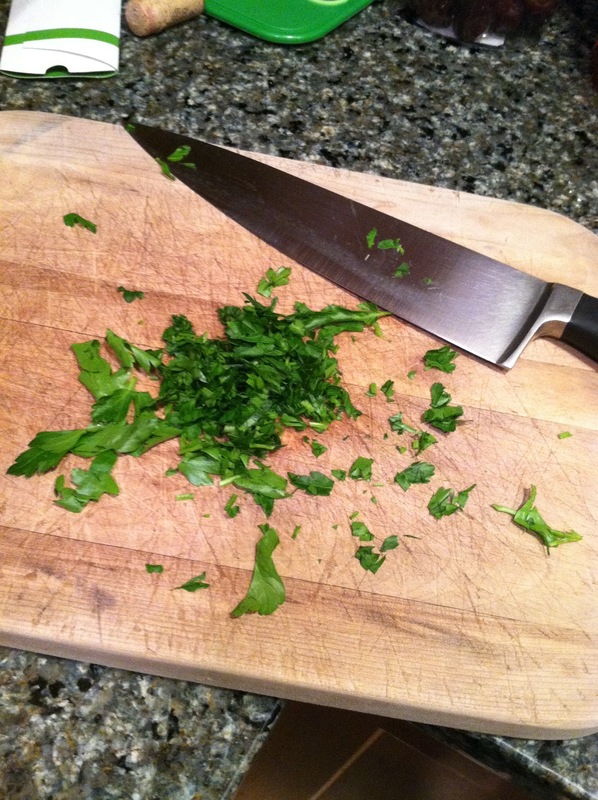 Rinse the berries and chop up an herb (we used parsley). Throw the parsley and salt into the wheat berries, and you have a dish rich in dietary fiber, iron, vitamin C and whole grain. We ate ours with sauerkraut and pork chops. Very tasty and incredibly easy!